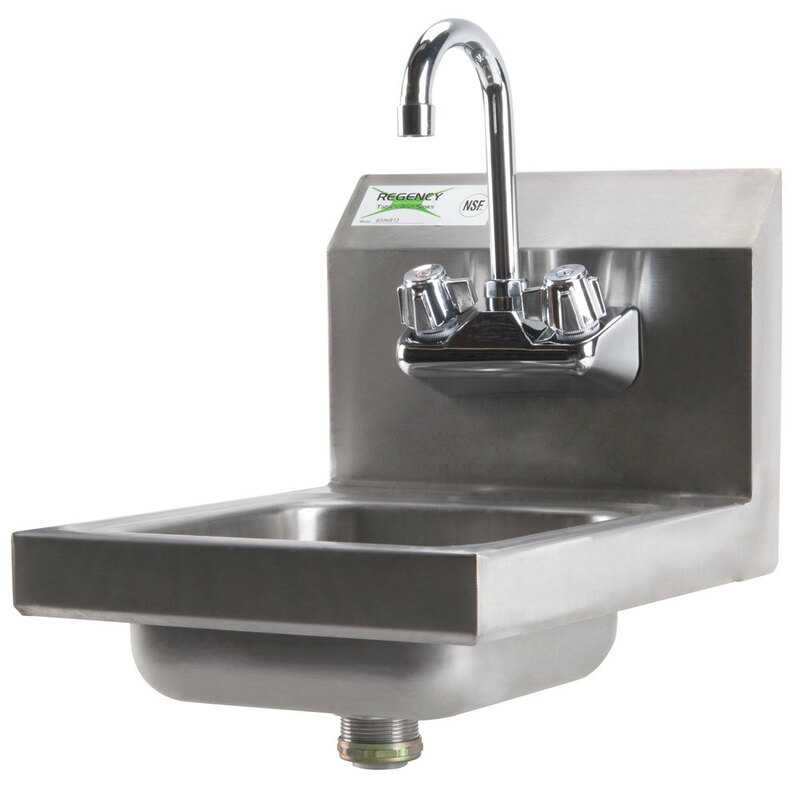 Keep your restaurant up to code without sacrificing space with this Regency HS-12 space saving hand sink. 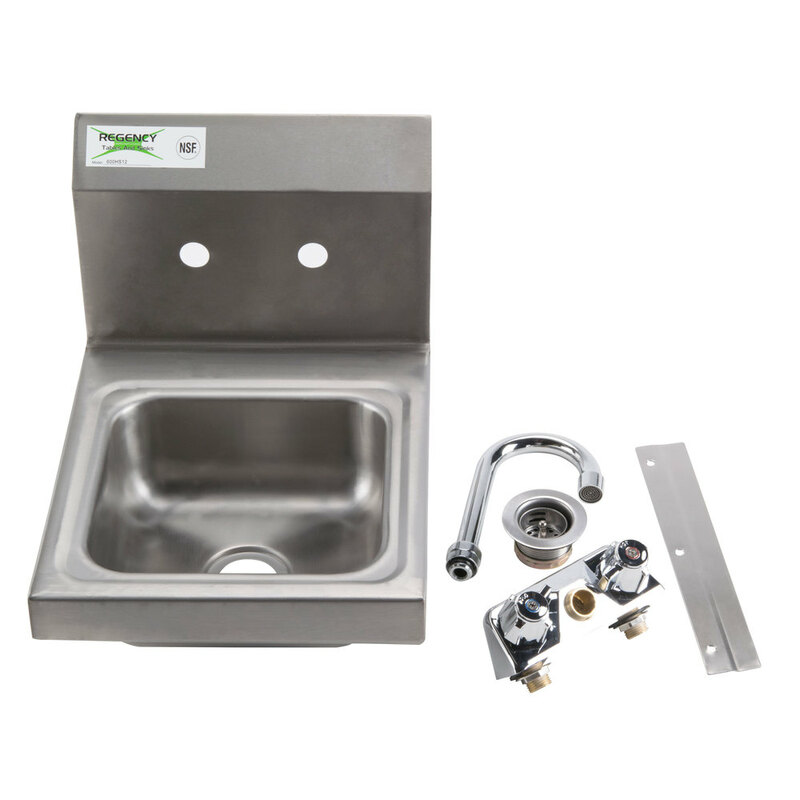 Each sink comes standard with a single 9" x 9" x 4" bowl and a convenient 8" high back splash. Additionally, this hand sink has two holes punched on 4" centers to accept the included Regency 8" gooseneck faucet. 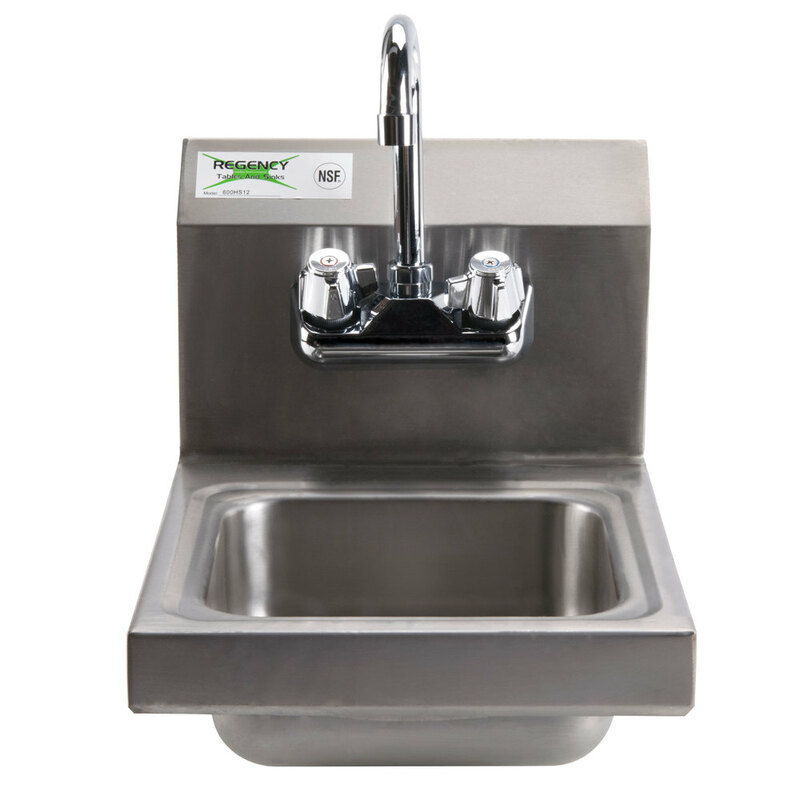 This sink offers an economical, 20-gauge type 304 stainless steel construction along its top, bowl, and backsplash. It comes standard with a 1 1/2" IPS drain basket.